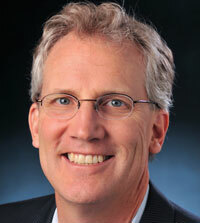 Dr. David Reed is a Scholar in Residence in the Interdisciplinary Telecom Program at the University of Colorado Boulder. Prior to joining CU Boulder, Dr. Reed was a senior executive at Cable Television Laboratories. As CableLabs’ Chief Strategy Officer, he led large R&D projects covering a wide range of technologies relevant to the cable industry such as application platforms, business services, voice-over-IP, and broadband delivery systems. Dr. Reed also has been a Telecommunications Policy Analyst in the Office of Plans and Policy at the Federal Communications Commission where he worked on cable-telco competition, personal communications services (PCS), and spectrum auction policies. Dr. Reed has authored a book on residential fiber optic networks, and is a widely published author in telecommunications journals, books, and magazines. He has been a contributor of interdisciplinary analyses that played key roles in defining U.S. policy debates on PCS spectrum allocation and local access competition.